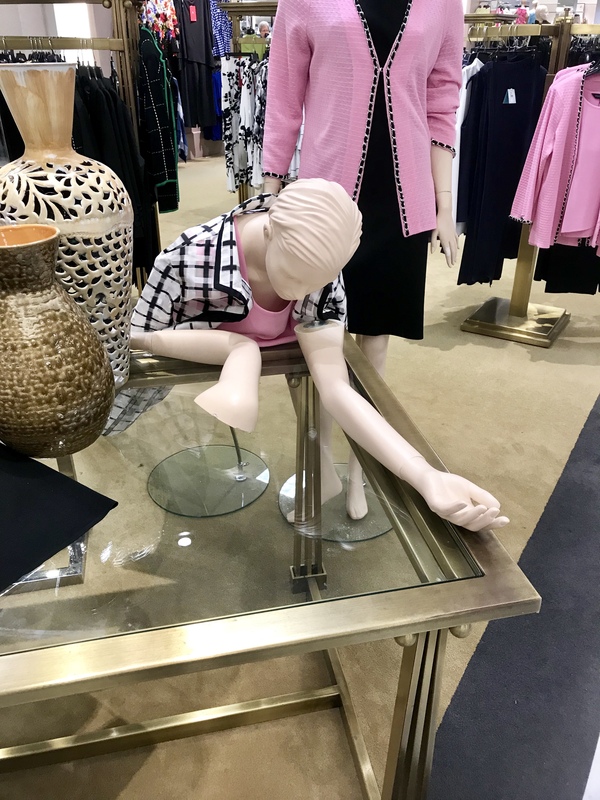 I call this one, “A Metaphor for My Life.” Poor mannequin. Her arms were askew. One was turned completely backwards. I felt like I’d found my spirit animal.